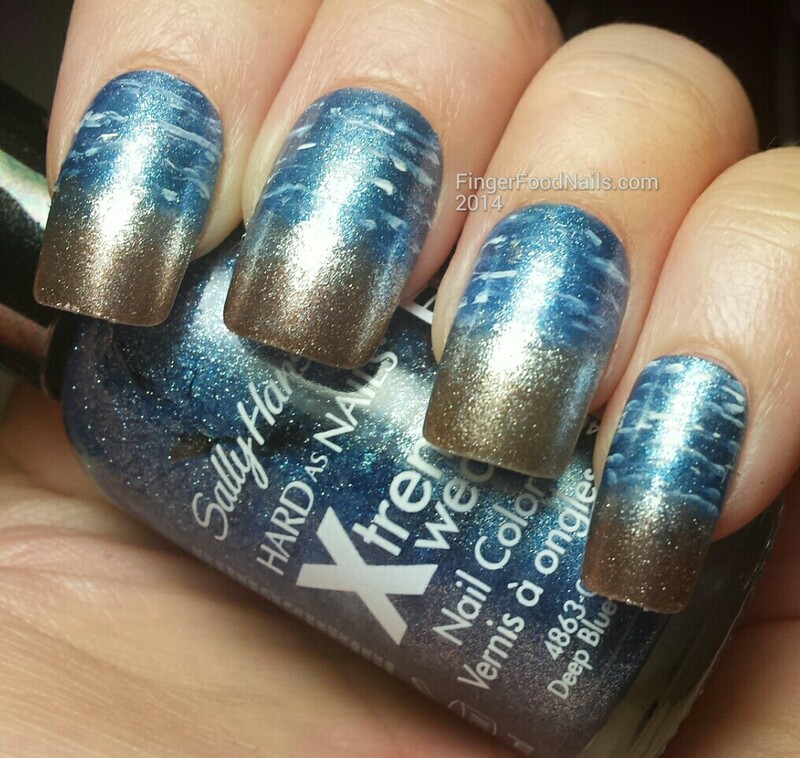 I painted a gradient using Sally Hansen Xtreme Wear Time To Shine and Deep Blue Sea (well that was a no brainer...) and a little bit of LA Colors Metallic Silver. 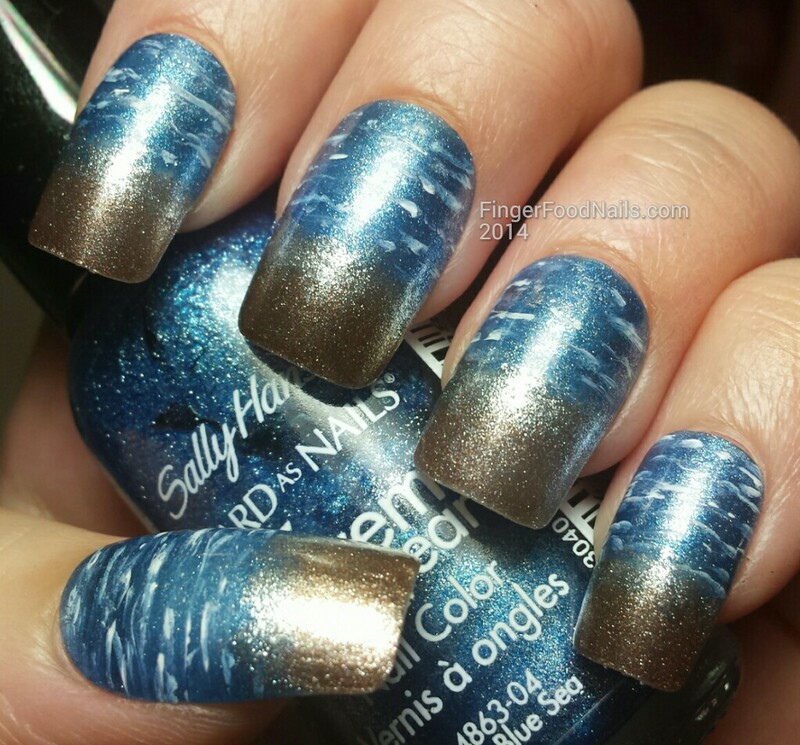 I added some waves using white acrylic paint thinned with a little acetone, and finished with Seche Vite. I like the simple perfection of this one - no need to go overboard and bling it up or anything. So pretty! I miss the beach - but I'm going at the end of the week!!! yay! The finish of this is beautiful! So beautiful! 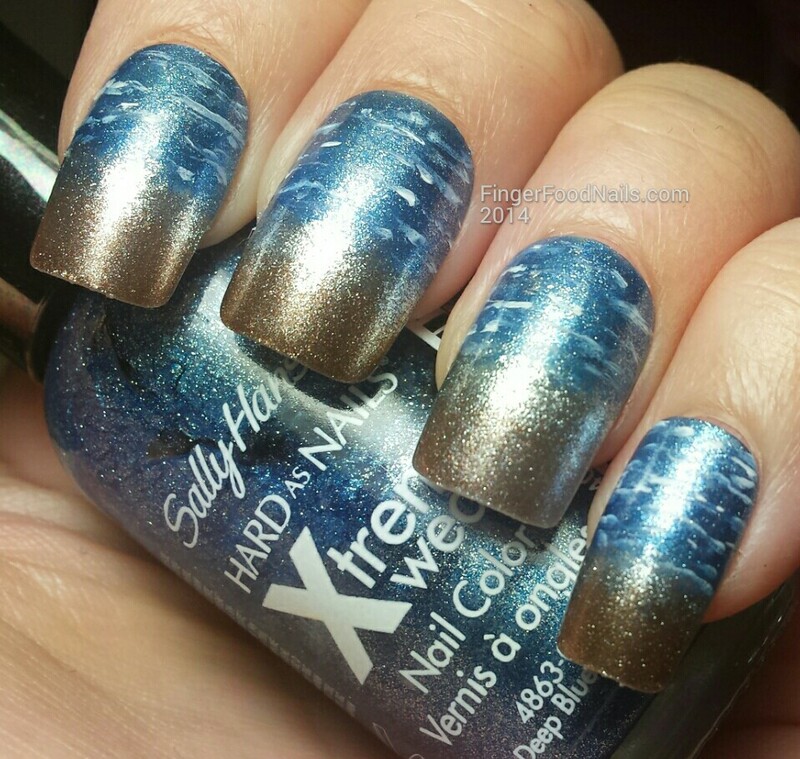 I love how many awesome beach manicures we saw this week! Barry Island never looked so pretty :) Seriously, because I don't think it could. These are gorgeous. I want to go back. We went last summer and ate at the restaurant where I guess they filmed a mess of Gavin & Stacey stuff? I dunno. It was nice but I didn't fancy going near the water, so we ate our chips outside the fairground and fed the seagulls, and then grabbed an icecream for the walk back to the car, lol. beach mani!!! I love it! Beautiful! I love the breaking waves!